The Wide Quad High Definition+ (WQHD+)* resolution is four times clearer than basic HD, for stunning picture quality. 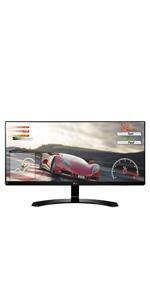 Designed for display of advanced graphics on a wide screen, WQHD+ delivers an amazing 3840 x 1600 pixels. *Disclaimer: WQHD+ (3840 x 1600) pixel resolution may be dependent on content, device, interface or graphics card. With FreeSync, gamers can experience seamless, fluid movement throughout hi-res, fast-paced games. 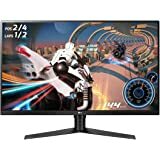 FreeSync nearly eliminates all tearing and stuttering that can occur because of differences between a graphic card’s frame rate and a monitor’s refresh rate. A monitor’s response time is absolutely critical in games. The 1ms Motion Blur Reduction feature will allow gamers to enjoy the precision and accuracy needed to play at a very high level. With a response time that is virtually 1ms, blurring and ghosting are dramatically reduced to make the in-game action smoother and gamer reactions more precise. 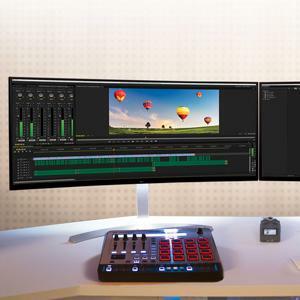 Display 4K video, transfer data and charge a laptop or mobile device, all at the same time using a single cable with USB Type-C.
With a Bluetooth connection, enjoy the music from a mobile device right through the monitor’s built-in speaker (10W x 2). The monitor’s speaker delivers powerful and vivid sound quality enhanced by LG’s Rich Bass function that covers sound under 85Hz for richer sound with impressive bass depth. 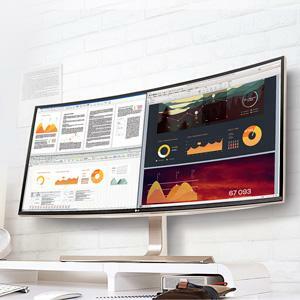 38" 34" 34" 29" 27" 27"
The LG 38UC99 UltraWide 21:9 curved monitor is the ultimate large screen monitor for work and for play. 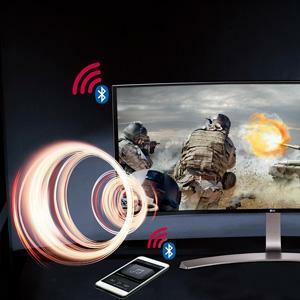 The graceful curve of the he world's first 38-inch curved IPS monitor helps create an immersive viewing experience. 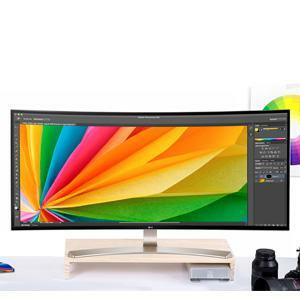 Combine the elegant design with the 3840 x 1600 UltraWide Quad Plus definition (WQHD+) picture quality of your movies, games and creative passions will seem to come to life. 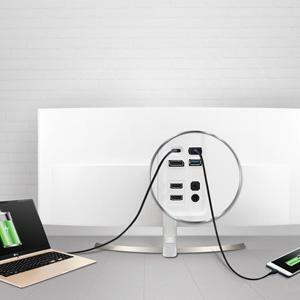 When it comes to productivity, the convenient USB 3.0 quick charge connects right into the monitor to quickly charge your devices. For the multi-taker, the large screen and 21:9 aspect ratio of 38UC99 puts it all on display. Let me begin this review by addressing some misleading information which I have seen both on Amazon and elsewhere. 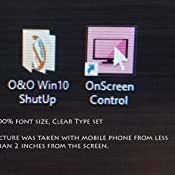 THERE ARE TWO VERSIONS OF THIS MONITOR, WITH AND WITHOUT “-W”. Misleading. There is only one model. Letter “–w” appears to indicate “widescreen”, but it seems that LG lacks consistency in using it. There is only one model on LG web site. My monitor had model number “38UC99” printed on the shipping carton and in the manual, but sticker on the back of the monitor itself has both, “38UC99” and “38UC99-W”, on two consecutive lines (I uploaded a picture of the sticker and of the box). CONNECTION CABLES ARE TOO SHORT. Misleading. You need cables with just the right length to prevent a cable mess. This is what you get in the box: (a) USB-C cable, 1 meter (40”) long, which is a perfect length to plug into a laptop sitting on the desk next to the monitor. (b) Display Port (DP) cable and (c) HDMI cable, both 150 cm (59”) long. 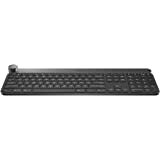 This is the right length for desktop if it sits somewhere on the desk on the floor under the desk. Situations when you need a longer cable are relatively uncommon. CABLES ARE PROPRIETARY. 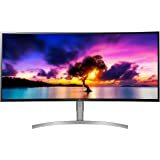 NON-LG CABLES DO NOT WORK. False. The cables are standard cables, not even made by LG (at least one of them is made by a Chinese company Pak Heng Technology). 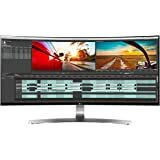 This false conclusion came about because in order to run this monitor at (3840*1600) pixels, at 24 bits per pixel, and at 60 Hz, one needs the cable to support the bandwidth of at least 8.85 GHz (or 11.05 GHz at 75 Hz). This requires the cables be compliant with one of the latest standards for high-throughput cables, which are clearly identified in the LG manual. Unfortunately, 70% or more of cables sold in the market place are only compliant with older standards. 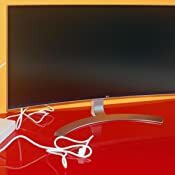 To make things worse, they are marketed using misleading vague statements (”4k TV ready”, “HDMI 2.0 ready”, “advanced high speed”) instead of explicit statements that they are certified to meet a specific standard and compliant with those standards. IT DOES NOT SUPPORT THUNDERBOLT. True if this means Thunderbolt 1 or 2. However, Thunderbolt 3 is supported via USB-C. My new desktop happens to have Thunderbolt 3 port, and I am able to run display, audio, and USB for keyboard and mouse through a single Thunderbolt 3. Let’s discuss the interfaces and cables in more details. THINGS TO BEWARE OF: This monitor does not have the “standard” interfaces such as VGA, DVI, or dual-link DVI. These are older standards which are still offered on low end desktops and many monitors sold today. 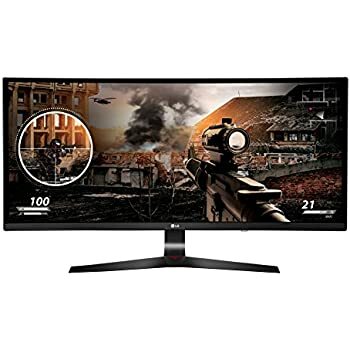 Traditional connectors/interfaces are not available on this monitor not because LG is arrogant or does not care, but because they would not work. 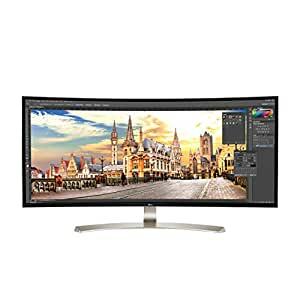 Resolution of this monitor (3840x2160) in combination with its frame rate (60 Hz) requires a very bit rate be transported through connection cable, quite a bit higher than what is required for 4k TV. 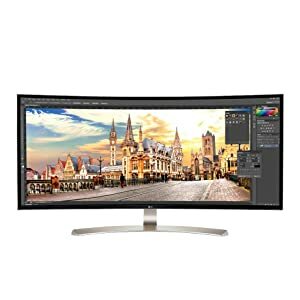 Old interfaces which we got used to – VGA, DVI, and dual link DVI – are not good enough and cannot support the requirements of full resolution this monitor. This may be a problem with low end desktops or older computers which may not even have a matching port. 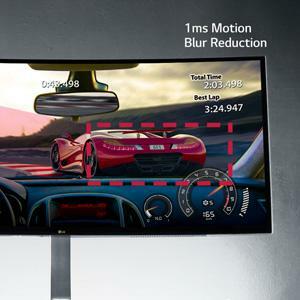 In addition, low end graphics cards may not be able to run at full resolution of this monitor. USB-C. This is the most useful and yet the most confusing type of the three available interfaces. 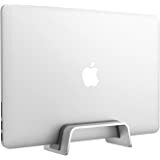 It is commonly used as a display port on newer, slim laptops. The most obvious distinction of USB-C is the type of connector. Strictly speaking, USB-C cable should not only have the right connector, but it should also meet the USB 3.1 bandwidth requirement of 10 Gbps. In reality, one finds cables marketed as “USB-C” which have the right connectors but which are limited in bandwidth, from merely 480 Mbps (which is USB 2.0) to 5 GBps (USB 3.0) to 10 Gbps (which is USB 3.1); one also finds 40 Gbps (which is Thunderbolt 3). 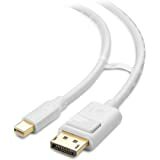 If you buy a random “USB-C” cable, especially a cheap one, there is a significant risk that its bandwidth will not be compliant with USB-C standard and is not sufficient. 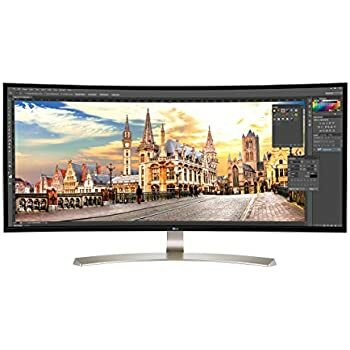 The cable may be attractively priced and have a 5 star review because it works with standard 1920x1080 widescreen monitors, but this says nothing about its ability to work with 2.5 times greater 3840x1600 resolution. 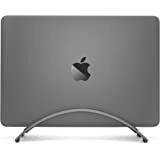 Your safest bet is a certified Thunderbolt 3 cable (which uses USB-C connector and is backwards compatible with USB 3.0 and USB 3.1); it is guaranteed to have more than sufficient bandwidth. 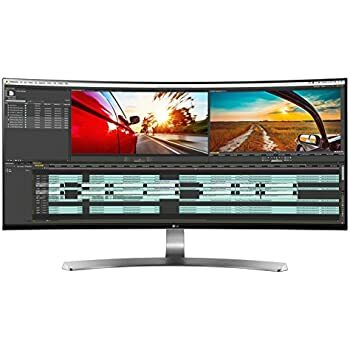 I bought on Amazon and tested a 2 meter long [Certified] Plugable Thunderbolt 3 20Gbps USB-C Cable (6.6'/2m, 3A/60W, Thunderbolt and USB Compatible) and can confirm that it works with this monitor very well. Any other Intel or UCB-IF certified Thunderbolt-3 cables will likely work just as well. HDMI. The cable should be compliant with HDMI standards version 2.0 or 2.1 (with or without internet). 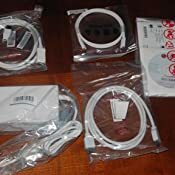 Older cables compliant with versions 1.0, 1.1, 1.2, 1.3, or 1.4 will not work (the majority of cheap cables fall into this category – and so are the older cables lying around your house). Suppliers do not like to disclose which HDMI version their cable is compliant with. Certifications which confirm their compliancy are even more rare. One has to look for something like “Premium high speed HDMI 2.0 certified”, version 2.1 may be called “48G”. Cables labeled as “4k” or” ultraHD resolution” are usually HDMI 1.4. They are not good enough for this monitor. 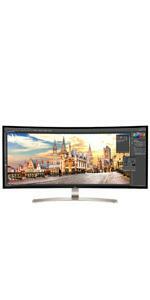 In order to run it at 60 Hz frame rate, the bit rate required by this monitor is 40% higher than that of 4k television. Update May 17, 2017: I moved my PC and needed a 3 meter long video cable. I bought a longer version of Accell DisplayPort cable, same link as above, and it works perfectly with this monitor. ABOUT THE MONITOR: HISTORY AND BACKGROUND. 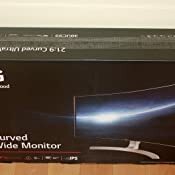 I found that this monitor was unveiled by LG at a trade show in Berlin in September of 2016. 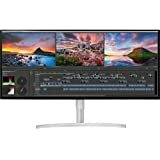 It is still very new and is considered by many (as of the time of this writing) one of the best monitors for digital media creation available in 2017. 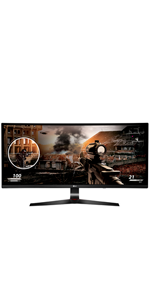 It may not be the best option for gaming due to relatively slow response time (typical for IPS panels geared towards high color rendering accuracy), frame rate limited to 60 Hz, and high price. 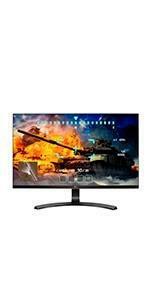 This monitor uses an AH-IPS panel made by LG.Display (LM375QW1-SSA1). 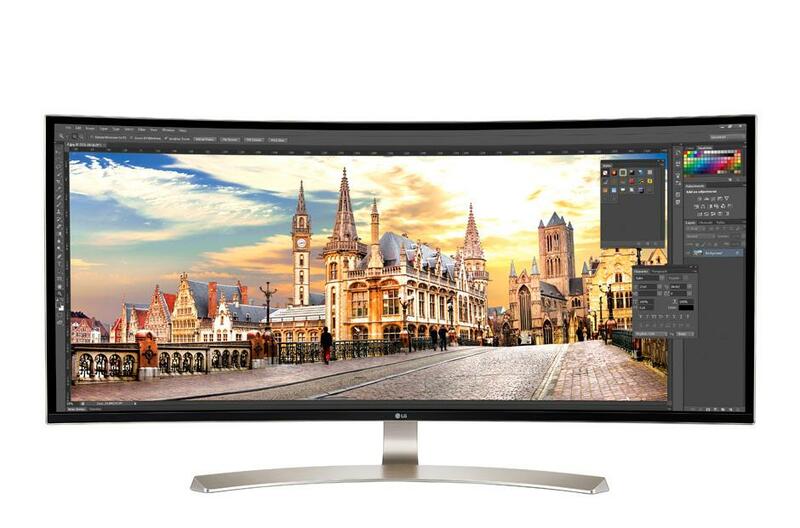 At the time of this writing, LG remains the only manufacturer to offer 37.5” curved IPS panels. 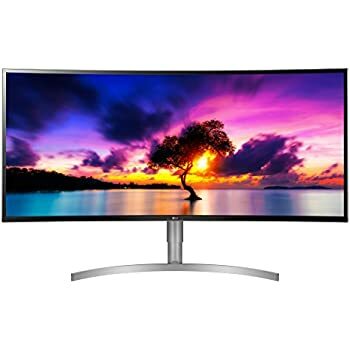 For this reason, the same LG panel appears to be used in “Acer XR382CQK bmijqphuzx” monitor (this gibberish is their actual part number) and in “Asus Designo Curve MX38VQ” monitor which is scheduled to start selling in Q3 of 2017. As long as it is the same IPS panel, the picture quality should be the same regardless of the manufacturer: the difference will be in design, available connection ports, warranty, and possibly price. The actual panel size is 37.5” diagonally. 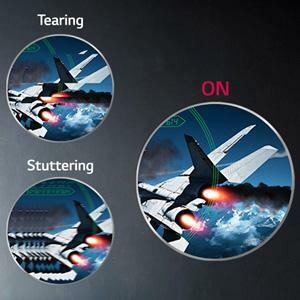 The panel type is AH-IPS (technology known for excellent color accuracy and wide viewing angles). The color gamut is over 99% (sRGB color space), which is pretty standard for IPS. Max resolution is 3840x1600, but many lower resolutions are also supported. Response time is 14 ms, brightness is 300 cd/m2, viewing angle is 178/178 degrees – also pretty standard for IPS. 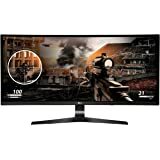 Refresh rate is quite decent 60 Hz (unless you are using an ATI graphics card with FreeSync which can boost refresh rate to 75 Hz – but the downside of ATI cards is that they do not support GPU acceleration in Abobe applications, if you care about it). Backlight is LED (not pulsed). Radius of curvature of the glass panel: 2100 mm. Pixel size: 0.22908 mm, image size on the screen is 879.6 mm wide by 366.5 mm high. The actual monitor is a little bigger due to bezel. The 366.5 mm height of the screen makes it very difficult to match in height with anything but a monitor of the same size. 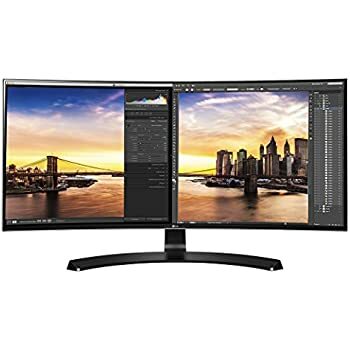 If you want to still use two monitors side by side, this one and a smaller one, the second one is pretty much bound to be less in height (why use two monitors if this one is so large? Is it not large enough? I can think about two reasons, one is to watch a tutorial video while doing something in main screen, second is to use it for real time preview in a browser). Antireflection coating: matt, heavy enough to not be like a mirror, but not excessively heavy. In my subjective opinion, just right. Inputs: 2 HDMI ports (ver 2.0), one display port (ver. 1.2), 1 USB-C port, and 2 USB 3.0 ports which can be used to connect keyboard and mouse if one uses USB-C / Thunderbolt 3 cable. USB Hub: none, except mentioned above (2 USB 3.0 ports derived from whatever comes through USB-C). Two USB 3.0 ports are in the middle of the monitor from the back side and hard to reach without moving the monitor. Included cables: HDMI, Display Port, USB type C to C, and USB type A to C adapter. Power consumption: up to 120 W, LG reports 70W on average. Warranty: only 1 year parts and labor. 3 years have become standard among mainstream suppliers. 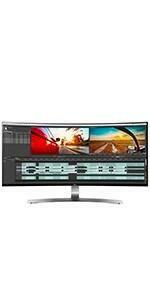 LG falls behind even behind itself as they warrant many smaller monitors for 2 years. Short warranty is the main downside of this monitor. Speakers: built into monitor, can be connected to computer or any device via blutooth, display port, or USB-C. There is no separate input for audio cable. Quality of sound: resembles sound of mid-low range (say, $50) computer speakers or small to medium size flatscreen TV. Nothing spectacular, but OK for most needs related to office work and digital content creation. 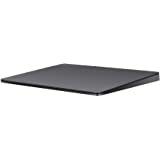 Dimensions with stand: 32.7” wide, 17.7” deep, 11.0 to 15.7” high. Weight is 20.5 lbs. My reference point for comparison is a 7 year old, 30” HP LP3065 IPS monitor which was top of the line around 2010 (was also priced around $1200). It is still going strong and better than most monitors that I’ve seen. 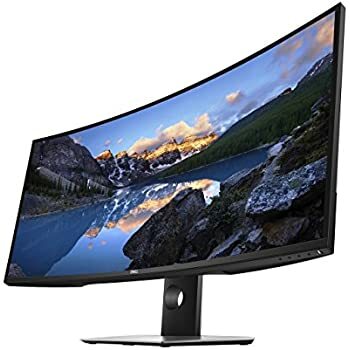 I was looking for another IPS monitor with the same height and similar dot pitch, but wider to get more screen real estate for video and image processing and my web design hobby. 40% more pixels is a big deal. I mentioned this to make it clear that I got used to IPS color rendering on color calibrated large monitor. Quality and sharpness of image: excellent. Color accuracy out of the box – excellent. I have to calibrate my HP monitor regularly to prevent color shift into the blue, but this monitor is very good “as is”. Brightness –quite high, I set both brightness and contrast to about 30% to make it easy on my eyes. For office work, the screen is almost way too wide. In Word, you are tempted to split the screen in two. For Excel, it may be OK if you work with wide spreadsheets. For applications like Adobe, programming environments, or CAD, it is phenomenal – plenty of room for everything. I cannot speak about gaming because it is not my thing, but I would guess that for gaming one needs better speakers and faster response time. There is a software on monitor which is supposed to improve response time for fast moving objects, but I did not have the need to test it. Menu controls with the joystick. Takes some 15-30 mins to get used to, but works quite well. More intuitive than I expected. Everything on the monitor is controlled with just one joystick. 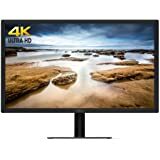 Built-in software enables one to split the screen in two (this is the only option on this monitor) and run left half-screen from one input and right half-screen from the other (one cannot use two HDMI ports for this, it has to be a combination of either one HDMI, or DP, or USB-C). One can do it with different outputs of the same graphics card, or, with additional LG driver installed, even with two computers (software enables one to use one keyboard and mouse to control both PCs). 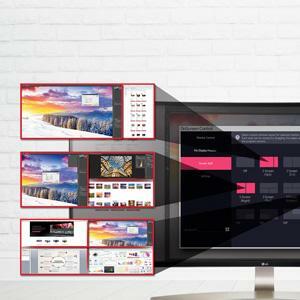 Despite generic information on LG web site, there are no other screen split patterns – you can neither split the screen in three, nor can you split it into parts of different width. I am not sure what is the value of this feature because one can create two windows side by side in Windows. Any regrets about the money spent: a month after the purchase, none. More “real estate” than in a dual widescreen monitor setup, and no black line in the middle! No speakers needed, fewer cables to connect. The only concern is that this monitor needs a steady table. With its size, any shaking of the table leads to even larger shaking of the monitor suspended on its stand. I spent a week reading reviews before “pulling the plug” and ordering this beast. 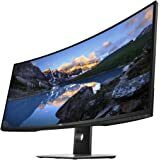 Among fairly empty descriptions, I stumbled upon a phenomenal review which had every imaginable technical detail for this monitor. Search for “Simon Baker, TFT Central, LG 38UC99”. Beware, it is very technical and has lots and lots of high end testing results. 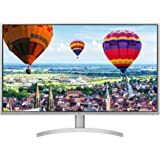 UPDATE May 17, 2017: LG recently released a newer version of this monitor, 38CB99-W. It has exactly the same specs as 38UC99 and even shares the same manual with 38UC99. We still have to find out if there are any differences (other than a higher price), or if it is just a new model number for this year (I think LG belongs to manufacturers which code model year into the part number and update models annually by changing one or two letters in the model number). Info on warranty on LG site is contradictory at the time of this writing, either 1 year for the new model or 3 years. 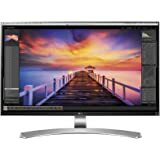 I bought this monitor for development. I was tired of the split monitors in the middle of my desk and my shoulder was hurting constantly from turning to one side or the other. - I can split my IDE into 1 file explorer, 2 small windows and 2 regular sized windows, all side-by-side, with my console beneath. Recommended for development. The form factor is great and fonts render nice and smooth. They really should have had some foresight in the small issues I call "The bad", and aside from the speakers, I hope they can address these in a firmware update. I thought I would have a video up on the far corner, but as I got my desktop situated, I want to use this full monitor for development - it's just so nice to have 4-up. I ended up putting my macbook pro to the right for video etc (that I rarely turn to see). I would love to find a way to have my macbook pro screen centered above the top if this display - that seems like the ultimate setup for me. 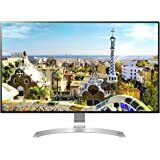 I purchased this after returning an Acer gaming 34" curved screen which had horrible back light bleed, IPS glow, and glare. The first thing i noticed with this monitor was the sleek and minimalist design. 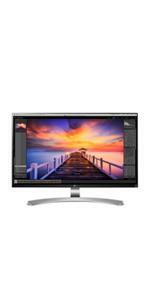 This is a larger monitor but has a smaller footprint. Hookup was easy and straightforward. The curve of the screen is also perfect for comfortable viewing whereas the acer had less of a curve and left me wanting more. This monitor was awesome for viewing everything from web content, video, and i should note the blacks are amazing. The color is also beyond anything i have seen. Out of the box the brightness is set too high but it was somehow tolerable however when i turned it down it struck a Perfect sweet spot. I was extremely impressed by the fact that my monitor had NO back light bleed, or IPS glow, and very little glare. Connected to the monitor I currently have a high end PC equipped with an GTX 1080 using the display port. I played fallout 4 and tomb raider at ultra settings and performed flawlessly no lag or any issues. 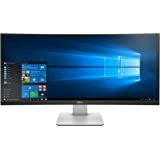 Most notable was the lack of eye fatigue and eye stress experienced compared to the Acer and other ultra wide larger format screes. All in all I am extremely happy with the monitor. #2 Ship the monitor back to LG for a REFURBISHED replacement. If I'm spending $1600 on a brand new monitor, I expect better service than this, especially on a BRAND NEW top of the line monitor. Beware, if you have problems with your expensive, new monitor... you might be paying a local service professional to come out and fix LG's problem.